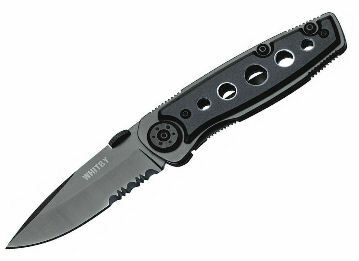 A survival knife is one of the most essential pieces of military gear you need if you’re going out into the wilderness. From chopping firewood to rescuing yourself from an emergency situation, a good-quality army knife is crucial when enduring the great outdoors. Whether you’re going on an overnight camping exercise or undertaking a long expedition, Cadet Direct can deliver the best survival knife for your next operation. From our popular Victorinox Swiss Army Knife range to a huge selection of military penknives, we have a great variety to choose from. Explore the wild with the Bear Grylls Series of knives and tools, or get everything in one with the multi-purpose British Army Knife Set. We even supply a wide choice of Knife Sharpeners to keep your survival knife in top condition. Whether it’s a Swiss Army knife for a weekend campaign, a hunting knife for a long hiking trip or a durable camping knife for battling the elements, you can find what you’re looking for with Cadet Direct.